add it to the egg and butter mixture mixing well. Last, add chocolate chips. Coat the inside of a medium loaf pan with butter then place baking wax paper inside. Pour batter into the pan. Bake in preheated 360F oven for 35 minutes or until toothpick comes out clean. 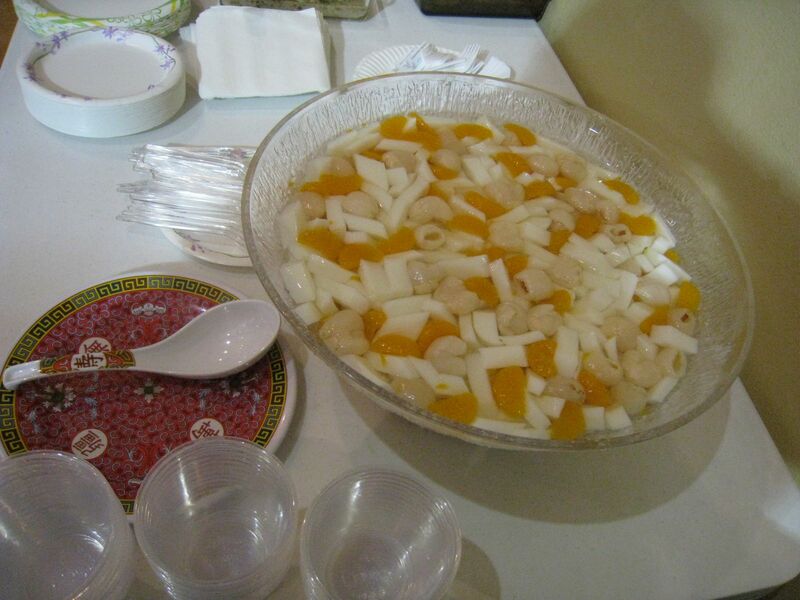 Karen Quon shared this refreshing dessert at our February 2010 meeting. ▪Soften 3 pkgs. unflavored gelatin with ½ c. cold water in heatproof bowl for 5 min. ▪Add 2- 1/2 c. boiling water and stir until clear. ▪Add 2/3 c. granulated sugar and stir until dissolved. ▪Add 1 tablespoon almond extract and stir. 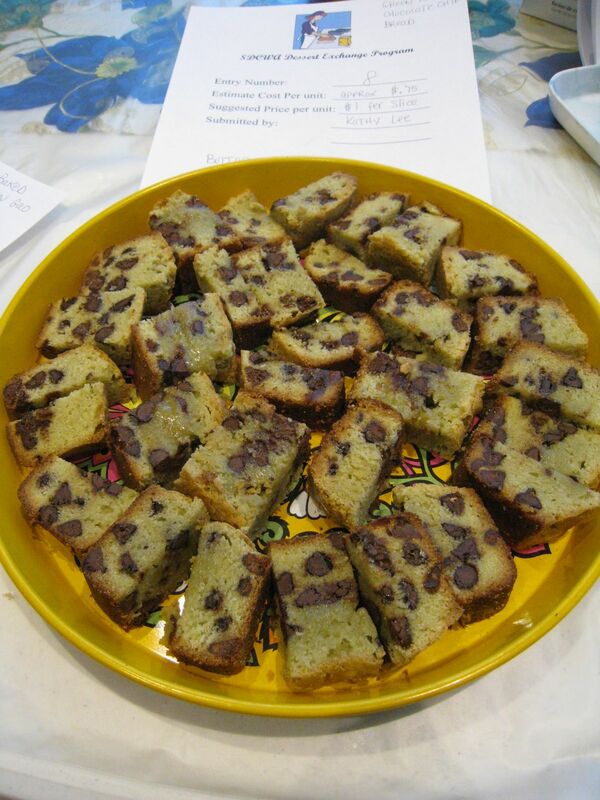 Pour into a 9 x 12 OR 9 x 9 glass pan. Refrigerate 3-4 hours (or less) until firmly set. Boil 1 c. water with 1/3 c. granulated sugar. Pour into large serving bowl and chill completely.